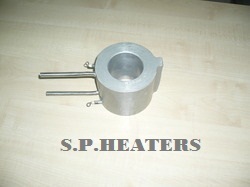 We are the preferred manufacturer of a wide range of Cast-In-Heaters. These are appreciated for its heat transfer process with uniform speed. 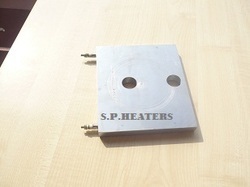 Our range of product includes Cast-In-Heaters, which can be availed at reasonable rates. Under the expert guidance, our company is engaged in offering a wide range of cast in heaters to our esteemed customers. These are manufactured using brass, bronze and aluminum. Our range is widely acknowledged for its watt density, resistance free and high efficiency. Used in extruders, packaging machinery and moulds & dies, these products can be customized as per the client’s prerequisite. 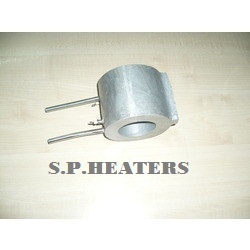 Under the expert guidance, our company is engaged in offering a wide range of Cast in Heaters to our esteemed customers. These are manufactured using brass, bronze and aluminum. with water cooling. Our range is widely acknowledged for its watt density, resistance free and high efficiency. Used in extruders, packaging machinery, moulds & dies, these products can be customized as per the client’s prerequisite. Looking for Cast In Heaters ?